Part two of our interview with Russell Slade talks rebrand, Paul Trollop and more. Slade describes his 'pride' at being manager of Cardiff City. In part two, Russell discusses the rebrand, the appointment of Paul Trollope, his departure and Cardiff legacy. The club ended their controversial rebrand during that season. From the inside, did it feel like the rebrand was holding the club back or is it the sort of thing that feels for more important in the stands than it does behind the scenes or on the pitch? The reversal of the rebrand was something that absolutely needed to happen. That was clear. I think Vincent during his time at the club has gradually learnt more and more about what it means to own and run a football club. Football clubs aren’t just businesses, they’re community hubs and the supporters are the custodians of the club. 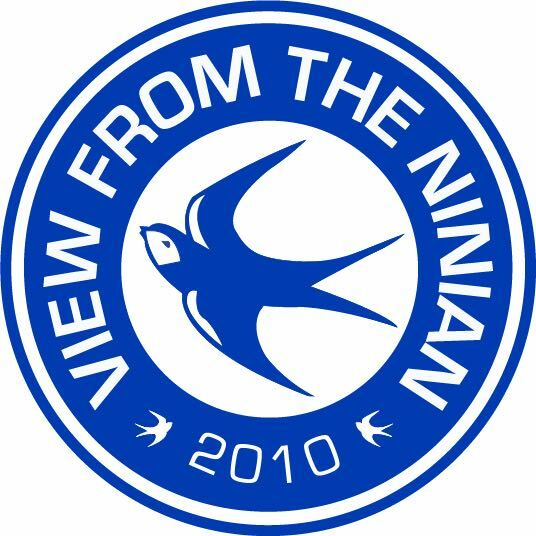 Vincent probably didn’t realise early on just how much of an effect that rebrand was going to have on the club and particularly the supporters. I will say, however, that he did come to see what it meant and I am glad I was part of the return to blue. Going back to blue was a massive deal for all involved. Whilst Vincent is a hugely successful businessman and multi-millionaire, that brings all manner of voices and advisors to his table recommending many different things to him. It then becomes a case of deciphering the good from the bad and sometimes that takes time. I think he’s learnt many lessons and has got better and better as the years have gone by. How did the rebrand affect matters on the pitch? Look, when the fans are unhappy and there’s a bad atmosphere, it is clearly going to have a negative effect on the players. Whilst you try to rise above it, it will always be at the back of your mind. As I said earlier, you need a positive atmosphere and mind-set to succeed the return to blue certainly helped bring that about. Everyone needs to be pulling in the same direction both on and off the pitch for a club to achieve its goals. Paul Trollope arrived in the second half of the season. How did that come about? Was it an appointment you were keen to see happen, or was it the club that deemed it necessary and how did it affect your role? Not only did I know of Paul Trollope, but it was me that met him to discuss joining us and it was my idea to bring him to the club. We desperately needed another first team coach to supplement the assistant manager Scott Young and we also had a lot of players to work with. He was an important part of my backroom team. Any suggestion that his appointment as coach was a decision that was imposed upon me was complete rubbish. We had cup of tea and a sandwich on Penarth Pier and he agreed to join us. He was just what was needed. He was someone that I could trust and someone who could communicate exactly what I was trying to do on the pitch. I know the impression was that he came in and results improved, but this doesn’t reflect the reality of the day to day goings on in the club. I can say that right from Martyn Margetson with the goalkeepers to Scott Young, James Rowberry and Paul Trollope, that I trusted my staff implicitly to deliver my instructions. In your second season, Cardiff were in and around the play-off places. Was it a disappointment to finish just outside the playoffs? Of course it was. Truth be told, I was and am still absolutely gutted we didn’t make it. I was desperate to do it for the supporters, to deliver the success they deserved. I find it very hard to find the words now to tell you just how disappointing it was for me, my staff and my players. I loved managing Cardiff City. I love the area (hence why I still live locally) and it would have been fantastic to achieve that top six position. Do you feel like your best efforts were undermined by the huge turnover of players at the club? The goal was always top six, but before we could move forward towards that goal, we had to deal with the excess baggage. If you don’t, it becomes a millstone around your neck and that had to be left behind. Whilst there are many, many factors that contribute towards success it’s fair to say that when you have a sizeable amount of off-field matters to resolve, it certainly doesn’t help. Who was the best player you worked with at Cardiff? I couldn’t pick one. I did have a good nucleus of pro’s who I trusted, who would come to me and act as my eyes and ears in the changing room. Four-fifths of this job is about man-management. Managing both upwards and down. That core group of players were excellent. There was a strong trust between us all and if anything came up, including prospective signings, I’d communicate this to my captain and he’d communicate that to his fellow professionals. Were you disappointed to leave your post at the end of the season? Was it expected and how did it feel to be replaced by Trollope? Yes, I was very disappointed. That situation developed very quickly. I didn’t have days to consider my position, I had hours and so I came to the conclusion that I would stay, but didn’t have anywhere near enough time to reflect on it all if I’m honest. Looking back on it, I knew there would always be another job available and having considered everything, I decided a few weeks later that management was something I still wanted to do. How do you reflect on your time at the club in retrospect? What do you regard as your greatest achievements and biggest disappointments? I have no regrets looking back on it all. I did what I had to do to help the club move forward. I did what I did to stabilise the club and I would definitely do it again because the club is bigger than anybody. I didn’t go to Cardiff for me, I went to do a job for the club as a whole. I look back with immense pride at having been manager of Cardiff City. I would have certainly liked one more season because I was pretty certain that with three maybe four new players, we would have been nailed on for a top six finish. Trolls changed many things after I left and he’d probably agree that in hindsight there wasn’t that much that needed changing. The proof of that being the respective positions in the league that we both achieved. Your tactics and approach was regarded by some as negative. Do you think that’s unfair or that there is some substance to those claims? Honestly, no. I always set my sides out to attack, believe it or not! Leyton Orient were among the highest scorers under me and if we’d had a couple more good strikers, things would be have been very different. I’m honestly not a defensive-type manager. I like to have my striker playing off a number 10 and at least one wide player. So in the setting up of the team, I always aimed to be positive. I would say that’s probably an unfair accusation. I remember beating Brighton four-nil at home for instance. There were matches like Derby away who’d scored for fun all season and Burnley away (who eventually went up) where we set up to be defensively astute, but certainly not overall. Neil Warnock succeeded you and the club have been on an upward trajectory ever since. Do you feel like you paved the way for that in some way? Some of it, yes, absolutely. That’s not just me saying it, some of the players have too. Sean Morrison actually came out and said it and it was appreciated. Neil would have had to make some serious changes himself due to the amendments made at the club under Paul Trollope. Take nothing away from what Neil, Blacky and Ronnie have done. They’ve done an absolutely fantastic job. I am nothing but pleased that he’s delivered the promotion the supporters desired. The fitness instructor I took there Lee Southernwood is still there and I still text Ken Choo (Chief Executive) from time to time. In fact, as soon as promotion was achieved, I texted Neil, Vincent and Kevin Blackwell congratulating them on their achievement. They’ve done a magnificent role. How would you like to be remembered by the Cardiff City supporters? I would like to be remembered for turning around a vicious downward spiral and for getting the club into a position where it was ready to challenge for promotion to the Premier League again. If you don’t think it can get worse than second bottom in the Championship then think again because it can. Just ask supporters of Portsmouth, Norwich City, Man City, Sunderland, Leeds United, Nottingham Forest and Coventry who all went down again. Some of them to League Two. I didn’t allow that happen and I gave the club a platform to succeed, that’s how I hope I’m remembered.